The NQ today launches the Pets Not Profit, #BanBackyardBreeding campaign. Led by NQ reporter Sarah Kerrigher, the campaign aims to raise more awareness of this illegal act with the intent to reduce the amount of illegal overbreeding in the UK. Less than 12% of puppies born in Great Britain every year are bred by licensed breeders, meaning 88% of puppies born in the UK are born to unlicensed breeders. New laws have come into place in hope to reduce the number of illegal breeders in the UK –requiring owners to obtain a licence in order to legally breed, with thorough checks being carried out on the living conditions of pets. Backyard Breeding is a term used to describe amateur animal breeders whose breeding is considered substandard, with little or misguided effort towards ethical, selective breeding. This includes animals that are bred for specific purposes - such as bulldogs for flat faces. 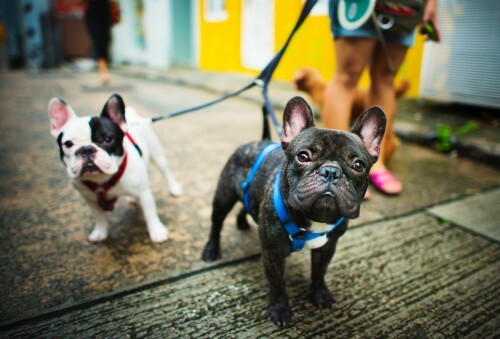 French Bulldogs, bred for their specific facial features. It is important to note that it is not only the breeders that are to blame for this but also those who buy from unethical breeders, as they are condoning this animal abuse. Many female cats and dogs are forced into overbreeding in awful conditions, where their litter is sold off for outlandish prices, in order for the owner to make a profit. The campaigns aim is also to encourage people to check conditions thoroughly before adopting animals, in an attempt to stop backyard breeding altogether.